As you might know, I have a love of all things vintage and mid century modern. It’s from this passion that I have decided to team up with long term partner and collaborator, Tim Haynes to bring you a new homewares brand called MODNLOVR. 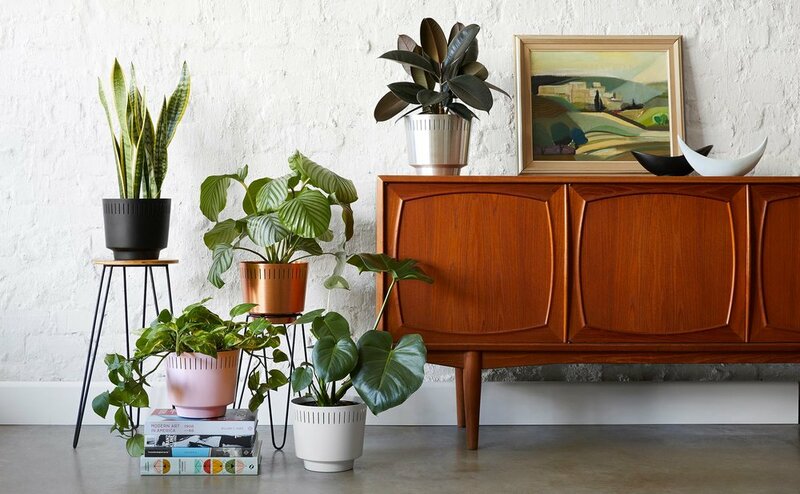 We’ve designed a mid century inspired planter and we’re excited to announce that it is now available for sale in the US! It’s made from spun metal and will come in a range of colours, the first two to launch - silver and copper. We are incredibly happy with this product. It was important to us not to make a throw away product, something that would last for years to come like our treasured vintage goodies. We hope you love the result too! It’s currently available for sale in the US here. I had lots of fun creating artwork for the branding and packaging. The planter comes gift boxed in an eco friendly box. We do not use any plastic in our packaging. Come join us on our journey on Instagram and Facebook. Join our mailing list to hear about new product releases, sales information and to receive 10% off your first purchase. We hope to release more colours very soon and stay tuned for other country releases.